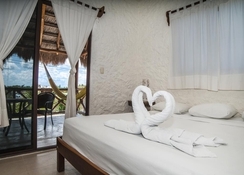 The hotel Casa Lupita on Holbox Island is surrounded by spectacular beaches and beautiful landscapes. During your stay here, you will witness diverse birdlife such as pelicans, flamingos, etc. The hotel’s architecture is influenced by Mexican style and Caribbean tastes, making it a perfect destination that encompasses the best of both worlds. Located next to the Main Square, the hotel enjoys proximity to several cafés, bars and restaurants. The hotel offers comfortable accommodations with all the necessary amenities. The North Beach is only a five-minute walk from the property. 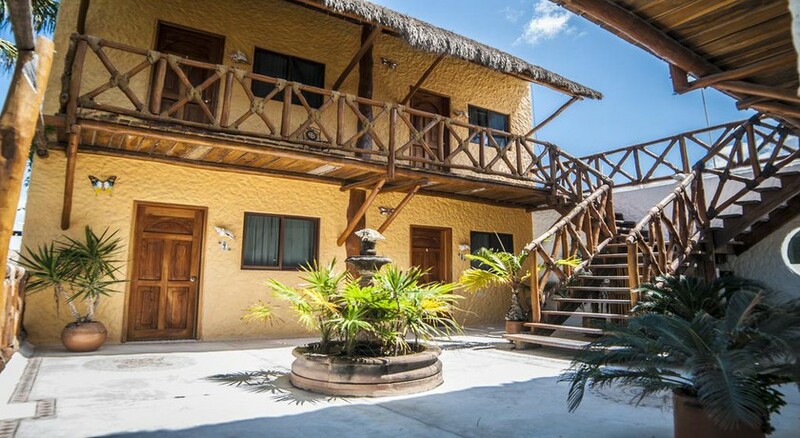 The Casa Lupita Hotel offers free Wi-Fi to all its guests. There is free parking if you drive. The staff here also helps in arranging for sightseeing tours, tickets and much more. 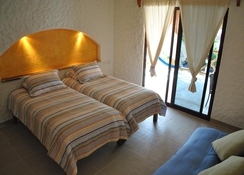 The Hotel Casa Lupita is nestled ideally on the Isla Holbox, Mexico. 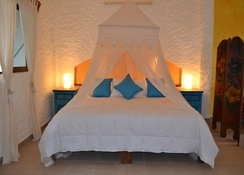 It enjoys a quiet and peaceful location, which is perfect for couples. The beach is only a five-minute walk from the property. The Cancun International Airport is about 75km from the hotel. Located next to Main Square, the hotel is in close proximity to several cafés, bars and restaurants, where you can explore authentic Mexican and international cuisines. 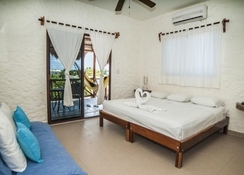 The rooms at the Casa Lupita Hotel are comfortable and are equipped with all the necessary amenities, which include air-conditioning, private bathroom, flat-screen TV, telephone, free Wi-Fi, room service, and much more. The hotel provides in-room service throughout the day. All rooms provide amazing views of the beautiful landscapes and the sparkling azure waters. As the hotel is centrally located on the Holbox Island, you will find several dining and drinking establishments. Some of the restaurants and bars near the hotel include Luuma Gathering Bar, Oliver’s Diner, La Botana Ukulele, Porque No, Dona Rosi – all of which serve scrumptious meals and international cuisines. Additionally, you can utilize the hotel’s in-room food service that is available throughout the day. There are several sports and entertainment facilities near the hotel. As the hotel is just a five-minute walk from the North Beach, you can indulge in beach volleyball, scuba diving, parasailing, snorkelling along with a wide variety of watersports. If you want to explore this region at your own pace, you can do so by utilizing the bicycle rental service provided exclusively for the hotel’s guests. Other than this, there are many golf courses nearby, where you can tee-off in style. 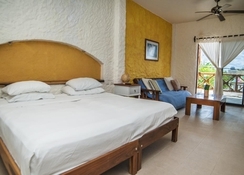 If you are looking for a comfortable hotel with all the necessary amenities at cost-effective rates, then Hotel Casa Lupita will surely delight you.